Coil spring spacers raise the front end a full 2.5″ to level out the ride which also makes room for larger tires. This gives the truck a level ride rather than keeping the factory raked stance. Daystar’s specially formulated polyurethane coil spring spacers give your Liberty that extra lift for bigger tires and wheels while maintaining a stock ride and superior handling characteristics. 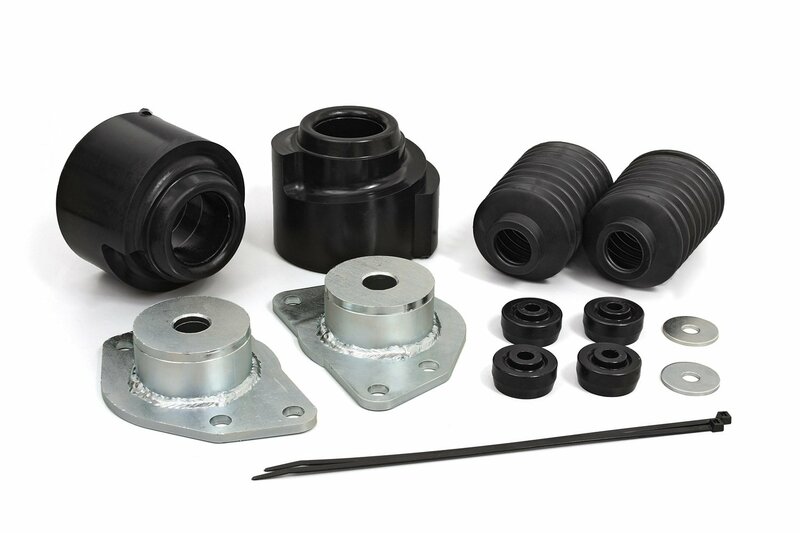 For use on 2WD and 4WD models.